Integrate our vehicle table into your software application and ensure an accurate, reliable and up-to-date vehicle database. Presenting a qualified and up-to-date list of vehicles by Make, Model, Variant, CC. etc. is a daily problem for software developers working in the automotive industry. Knowing the registration number is a great start but linking that back to a pre-defined vehicle table is something of an art form in itself. Benchmark Automotive, in conjunction with its partner Carweb UK has developed a vehicle table specifically for the Irish market that solves this problem. What began as a project for the insurance industry four years ago has now become an important part of software applications serving vehicle dealers, advertisers, parts suppliers and associated service providers. The table includes a comprehensive list of vehicles (currently in excess of 67,000 vehicles) and is updated on a monthly basis. It contains the definitive list for Passenger Cars, Commercial Vehicles, Motorcycles and other vehicle types that have been confirmed to be in use on Irish roads making it the most reliable vehicle table in Ireland. If your application requires integration by VRM (commonly known as a reg lookup) Benchmark automotive can provide a vehicle identity web service that passes back the vehicles CWIC code against its registration number. This gives software providers the ability to match a vehicle’s registration number directly to the internal vehicle table on a ‘one to one’ basis. No ‘fuzzy logic’ or ‘guessing’ required! Definitive VRM links - No 'fuzzy logic' or 'best guess' matching. Proven solution already in use with Insurance and Parts industry. 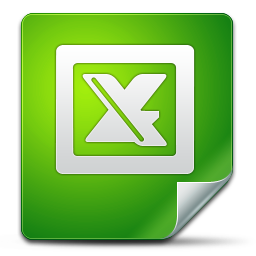 Click on the Excel icon below to download a sample data file.